Your business is still not on Internet then start now before it’s too late! It is quite surprising to hear that in this net savvy age where the number of internet users has crossed the big figure of 450 million; your business is still deprived of the tremendous traits of internet. India is country where the uses of internet and smartphones are increasing by leaps and bounds and where more than 40% population is from 20 years to 35 years. 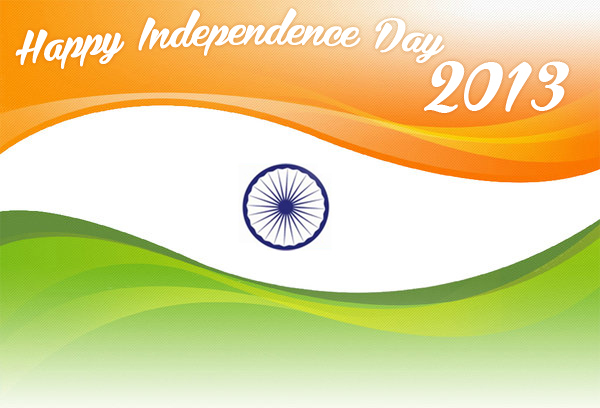 According to various stats there are around 450 million Internet and 300 million smart phones users in India. India is a big market of Internet and if your business is still not on the realm of Internet, it means you are losing a good sum of potential customers as you turning a blind eye to one of the most influential and emerging segment of market. You are working your fingers to the bone to promote your business and bring huge profits in return but sadly you are not giving a good consideration to such a big platform which is high in demand. If truth to be told, in the current age of net if you are not online, you are certainly nowhere and quite possibly you will lag behind of your competitors as they are already there on the pitch of internet and have captured the trend so strongly. There are more than 100 million business have been registered on Internet; so, quite possibly your competitors may be one of them. So, before it gets too late and your rivals surpass you so far, wake up and step ahead to register your business online. Still unable to finalize your decision of being online? Don’t want to come out of the stereotype tradition of trading from the local market and fly in the open sky of internet? Well, before focusing more on the importance of internet in the 21st century, let’s first focus on those reasons that prevent your business to be online. Here I would like to put an example of my friend who is CA from profession. He has been gaining ground in this field for years and not planning to switch to any other segment in near future but the sad part here is that he is just dealing from the local market only and not planning to dive into the tremendous benefits of internet. When I ask him to explore the thriving opportunities of internet and make him recognized on the online market, he simply replies “I need not it this time as I am already gaining the good profits”. Of course, he is telling the truth and getting the good profits presently but he is unable to forecast what may happen in coming future. May be after a few years or a decade there may be no place for local dealers as everything is turning digitalized day by day. So, it is better to be ready toady to enjoy tomorrow!. If you are also like my friend or one of those lucky people who are getting good businesses and revenue with their offline marketing source, think of being taking your business online today before it gets too late as currently you have opportunity to grab new market and generate new revenue for your business. Start investing in Internet marketing and go ahead of your competitors now! Lack of Awareness of Internet Industry - If you are not tech savvy or still do not know the value of Internet for your businesses, it’s time to start some study and research. There are various sources from where you can study about potential of Internet businesses. There are a variety of tools that provide stats and data about potential customers. You are lazy - Oh Come on! Wake up man! In the era of technology and cut throat competition, no one can afford to be lazy. Apart from doing regular work for your business, give sometime on finding new way of marketing, enhance your business skills and adopt new things. If you do not change yourself, time will change you. You are scared - Most of the people are often scared to go on a new way. If someone comes to you and say, hey man, invest some money for your business and you will get good return, more often than not, you believe in his words and go with his idea. However, you don’t want to invest in anything about which you are not getting any guarantee of good return as you are scared to loss and this is one of big reasons you don’t want to invest any money for Internet marketing. Lack of Fund! - You have a good understanding of Internet business but you don’t have a good sum of money to invest as you feel you need to invest for a longer time. It’s time to show some courage and start investing in Internet businesses as it will give you new options. This is all about the reasons that pull you back from reaping the rewards of being online. Now, let’s throw light on the ever increasing importance of internet and why your business must be on Internet. Explore New Market - As I have stated above that more than 500 million internet users are there in India and you need to explore new audience. In the era of technology, most of the people are using internet to fulfil their daily demands like for finding the local doctors, real estate, plumbers, furnitures and many more. In such a scenario, if your business is not on Internet, it means you are loosing those customers who prefer the online mode to get their daily needs. So, it’s time to setup your business on Internet to explore new market. Go Global - Internet has no boundary and you can expand your business area through Internet. For example, if you are getting business only from those who are coming on your local shop, of course, you are giving a good chance to your competitors to lure your customers and entice them to their business. It’s time to go global and attract the customers across the cities, states and nations. Low Start Up Cost - While there is a huge market and opportunity of Internet and the setup cost is also very low. Hence, you can start your Internet businesses at minimum cost. Get Good ROI! - The most important thing about online business is that you will get good return for your every investment as it does not matter what you invest. You just need to start in right direction with right people. Stay Ahead from your competitors - Choosing internet for your business will always keep you ahead of your competitors. If your business is on Internet, it means you are using latest tools for your business in terms of reaping new business opportunities. Improve Business/Brand Awareness - Internet not merely helps into bringing new business but also help in improving your brands. As there are many social media channels where you can get direct feedback from your customers and connect with them on real time. Update with latest market and trend - You are using Internet for your business it means you are using latest technique for selling your product and services and engaging with clients. It will help you improve future business prospect and services. Easy to follow up - You can do follow up with your clients with latest technology like email, WhatsApp and the other social media tools. You can send them your new offers and schemes time to time. How To Start Your Business On Internet? Easy to start - Internet is not a mystery and anybody can start their business easily on Internet. You just need to do a little research or some study and you are ready to start. Just hire any Internet marketing company who can assist you to how to start your business on Internet. Setup a Website - If you have a business and you want to start it on Internet, you must have a website first. The website is the platform where you can showcase your business, products and services. What you are, what you do and what you want to sell. If you are new, you can start with small website which is very low cost and you can easily setup it with the help of any Internet marketing or web designing company. Do Local Business Listing - Now there are many B2B companies who provide free listing and you can list your business there. For example justdial, OLX and many more where you can list your business and people can reach to you or your website. 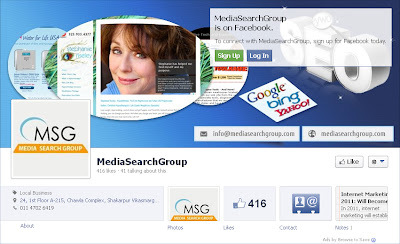 Google also allows this facility free of cost and you can list your website or business there. Even you can list your business on these platforms without having a website. Connect with Social Media - Social media is the most powerful tool to communicate in real time. Bring your business on social media with the help of creating your business profiles over there. You can do it yourself by doing a little study or hiring a social media company or Internet marketing company and they will help you out with the further procedure. Start investing on Internet Marketing - Investing money on Internet for business could be a good practice. So, start investing as per your available budget. You can start with low budget or high budget for quick results. There are many companies and professionals who can consult you for investing right amount and getting return accordingly. You just need to open your eye and understand the world of Internet. Why are you still sitting idle? Wake up dear! It’s time to step ahead and register your presence on the realm of internet! The risk of a website being hacked is directly proportional to the growing reach and popularity of the internet. If you are a website owner you need to make sure that your website is fully secure from hackers to avoid loss of important and private data. Not having a secure website can also affect your online presence and reputation. Over the last few years website hacking has increased significantly and large number of websites have been affected by this. 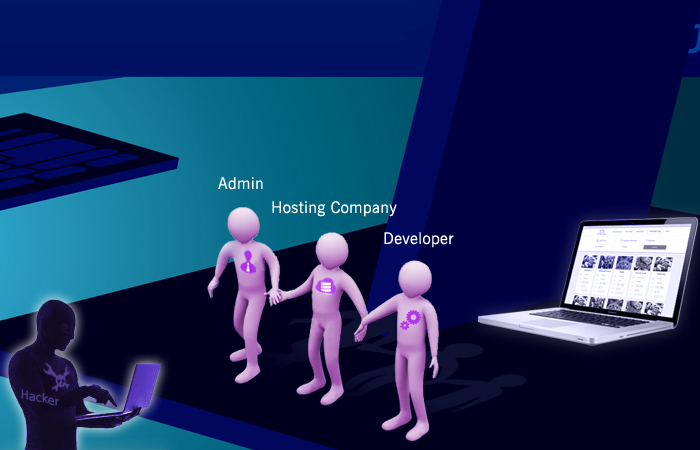 When we start talking about website security, the blame game between the website host and the developer starts almost automatically. As a website owner it is your job that your hosting company, programmer and of course you do your best to prevent your website from hacking. Updated Software & Plugins: Always use updated software & plugins for your website. Older versions can cause security issue for your website so keeping everything updated is prudent. Use Open Source Software or Plugins from Trusted Sources: if you are developing any open source websites like Wordpress, Joomla, Magento etc and using free plugins, always use those items from verified and trusted source. Also read their reviews and feedback carefully. Avoid using General Extensions for Admin Section wherever Possible: Hacking is done by way of a program built by setting up of code. Being a smart developer you have to figure out how can you save your website from such programs. For example if you are developing CMS based website then use alternate name for admin user login rather than general login like /admin, administrator, wp-admin etc. You can thereby reduce the chance of hacking as it will be difficult to recognize your admin address by hacking programs. Always Use Capcha for Forms: Without a proper validation to check whether your website enquiry form is being filled by a human or a software, the chances of spamming are high. Adding capcha in all kind of reservation and enquiry form is a great way to circumvent this problem. Hide Secure Folders & Databases from Search Engines: Hide your all secure folders and database from search engines to avoid any kind of attack from hackers. In absence of this hacker can easily recognize your files, folders, database name and directories. Server Side Validation/Client Validation: Use proper server side and client validation in your website. It will help you avoid any kind of access by robots, software or program. File Upload & Permission: Always limit the file uploads so you can avoid unlimited file uploads in a short period of time. Also ensure that you use proper file permissions. It is prudent to allow write permissions for limited number of files. These are some of the basic and important steps through which you can save your website from any attacks. Security Tools: Make sure your website hosting features has in built security tools in order to safeguard your website. These security tools let you know the security status, error and broken page website. Automated Reset Password: Hosting Company should enable the automatic reset password option for certain period of time. This feature forces you to change the password after certain period of time and ensures security. Firewalls: Your hosting company must have security firewalls, which prevent you from all kind of attacks. The Firewall checks all miscellaneous codes, files and will prevent the website from. Backup- Ensure that your hosting company takes frequent back ups. It is best to check the frequency of back ups as also the duration for which back ups are kept. Script & Database- Make sure that your hosting company uses data base security best practices such as encrypting storage files and keeping all patches current. SQL Injection – While many security measures are available against a possible SQL Injection attack, the most basic protection you can get against it is through data validation. Validation done through the server end ensures that it cannot be altered or bypassed. Password: Keep changing your website panel, FTP and other related passwords frequently. Make it your habit and you can disappoint hackers! SSL: Use SSL certificate for your website. By investing some money you can save your secure data like card details, personal information etc. Antivirus: If you download and upload files into your server make sure your computer is safe and secure. Use best antivirus and keep your computers or mobile virus free so your files will not infected. Alerts: Regularly check all alerts and messages from your hosting provider, webmaster tools as well as other security tools which you have already installed in your website. All these alerts will help you from any possible hacks or will at the least, inform you to take immediate action incase the website is hacked. Are you loosing Mobile Traffic? We are in one of the most exciting phases of business today. Brick and Mortar shops are giving way to computers which in turn are paving the way for mobile and hand held devices. There is a marked increase in the volume of business being generated on mobile and other devices like tablets. Smart Phone ownership has already reached staggering levels and is steadily increasing. Already 40% of people use a mobile to check e-mails and browse the web. Mobiles have already become the preferred platform for accessing Internet and are also cornering a huge chunk of e-commerce business. Many companies have jumped on the mobile bandwagon by offering websites designed for hand held devices but they are unable to meet the expectations of the mobile customers. A mobile interface is unique as it has a lot of restrictions. The most important one is the screen size that has an important bearing on the way in which customers interact with a website. ‘Fat Finger Syndrome’ is a common problem associated with accessing websites on mobile devices. It originates due to the fact that a user is unable to click on an icon on the screen due to its small appearance. Another problem unique to a mobile site is of upload times. The slow Internet connectivity often leads to heavy upload times for a website on a mobile device. It is important to develop websites that are flexible and can adjust well to the mobile environment. Let us look at a few ways in which you can make your website more responsive. Build an adaptive layout: Websites created for computers and laptops are more rigid in nature. They have clearly marked boundaries that make it difficult for them to adapt on a mobile device. The trick lies in developing flexible grids that can adapt to any size dynamically. A simple way to do this is to have a clean HTML without relying too much on CSS and JS. It is a technical process and should be handled only by expert web designers. Focus on the font size: Fonts are an important aspect of a mobile interface as they determine the way in which the customers interact with your website. Both the size and style of the font is important in this regards. Use a font size that makes your options visible on the screen and allows the users to click on them. Also, try and use bright font styles that add a dash of creativity to the website. The appearance of fonts can have an impact on the mood of the users and affect their buying behavior. Monitor your images: You can be magnanimous with the size of your images on a desktop but a mobile device has its own restrictions. Heavy images and pictures will increase the upload time for your website and simply irritate the customers. A good idea would be to insert thumbnails on your mobile site and remove unnecessary images. Manage the content: Content is still the king on websites, but it has to be customized to suit the requirements of a mobile site. Verbosity in content will not produce any results and only increase the upload times. Reduce excessive content from your site and focus on adding suitable Product Descriptions. If the recent updates from Google are anything to go by then products descriptions are all set to acquire more importance in SEO search. Lucid and precise content will make your mobile website more responsive. Developing a responsive website is a creative process and you will surely enjoy being a part of it. Partnering with an experienced developer will help you to customize your website and make it perform better on a mobile device. A flexible approach will help you to enjoy these exciting times in business! Wish you a very very happy and prosperous Diwali to you and your family. Remarketing is an extremely powerful online marketing tool available on Google AdWords, that offers the right message- target audience fit. Remarketing enables a business to personalize a message to make it relevant to your target audience, a feature that is otherwise not present in a great many online based advertising mediums. With the ability to customize your advertising message to targeted consumers, it has the potential to generate tremendous return. 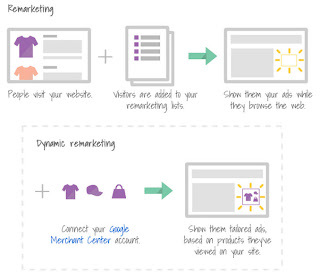 This targeting of specific potential consumers to draw them back to the site to complete a purchase activity is what makes remarketing different from normal display advertising. Upselling to your visitors by enticing them to purchase a higher priced item if they have visited or are visiting your site to purchase a lower priced item. For example, if your visitor bought a mobile case, you can remarket the latest mobile headphones to him. Cross Selling to your visitors by recommending products similar or complimentary to the product the visitor has purchased or is purchasing from your site. For example, if you are a fashion retailer and a visitor purchases shoes, you could remarket them a matching accessory. Remarketing for products or services that are seasonal in nature helps to engage the attention of consumers who have purchased your product or service during the same time last year. Sale Time Remarketing to target visitors who viewed products during full price but did not complete the purchase action, by letting them know that the products are now available on sale. Remarketing to target visitors, who chose not to complete the purchase action after placing items in their shopping cart. Location Remarketing to target users visiting your website and living in a particular location to encourage them through discounts to visit the physical store in that location. Language Remarketing to target consumers based on linguistic preferences by offering downloadable resources in various language versions. 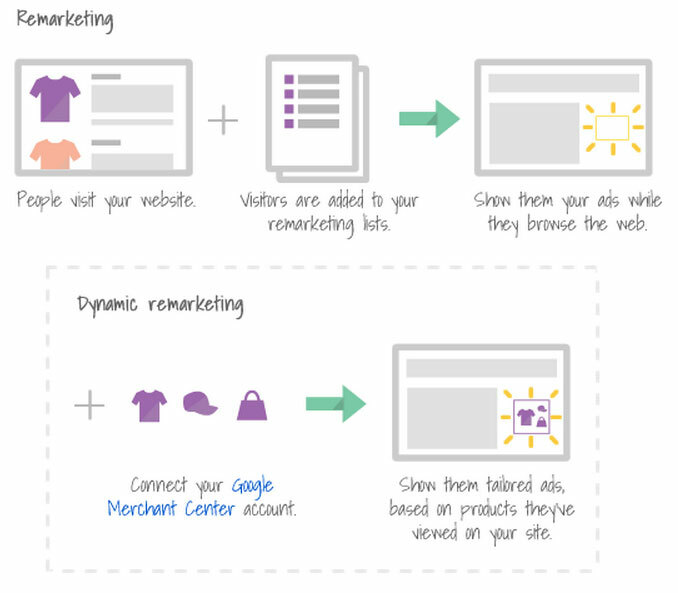 Motivate New Visitors to return to your site by remarketing similar content to them. Remarketing to target users based on the device used to visit the site, for instance a person visiting the site through a particular mobile phone can be remarketed with accessories of that particular phone to visit the site. Social Remarketing based on engagement of visitors with your content on facebook, youtube and other social media sites. Remarketing, if applied effectively can generate very high ROI for businesses across a wide range of objectives, ranging from increasing brand awareness and site registrations to mobilizing sales on your site. Facebook Page-The First option, of course is to create a facebook page and use it to send out brand communication. This is an option that most businesses have chosen. The key success factor here is to be able to build a connection with fans. The posts instead of being didactic or just disseminating one way information need to cultivate engagement with a two way dialogue. The important aspect is to be able to create consistent calls to action. This can be achieved by posting content that is valuable for the target. Trust & affinity can also be built by encouraging conversation amidst fans. A classic example is the Nike +GPS Campaign where Nike detected the distance run by people & allowed them to share it over facebook. A solo activity was thus turned collaborative, effectively by Nike. Allows the flexibility to fix ad budgets. Facebook Open Graph-Facebook Open Graph lets businesses create a third-party app that connect to a user and posts a notice on Facebook as soon as the user performs a specific action with the app. Mobile Marketing Tools- According to a recent study, Facebook ranks as one of the top-three things people do on a smartphone. It therefore makes perfect logical sense to use tools such as Facebook Offers, a kind of virtual coupon, which can be redeemed simply by flashing one’s smartphone. Similarly, a service called Nearby offers recommendations based on a person’s Facebook likes, check-ins and tags. Creating a Nearby account can be an effective way to create awareness amongst friends of customers. The beauty of facebook for businesses also is the ability to take many of facebook’s functions and embed them into business websites through a host of social plugins. Buttons like Recommendation, LikeBox, Comments, Live Stream etc can be added to the business website. This can be a great tool to understand the likes & dislikes of the target audience & shape the product accordingly. With Social media projected at having a 100% higher lead-to-close rate compared to outbound marketing, Facebook marketing is fast becoming a watchword for marketers.